Large nonprofits tend to have more resources to dedicate to social media, but a growing number of small organizations say Facebook and other social platforms are key to engagement, marketing, and fundraising. According to a just-released survey of more than 11,000 U.S. nonprofits, almost half of all organizations now raise money via social networks. -46% of nonprofits raised between $1 and $10,000 last year via social networks, up from 38% in 2009. -Only 0.4% of organizations raised more than $100,000 via social networks, although this number doubled from the previous year. -Environmental, animal welfare, and international services organizations are said to be using social networks “most efficiently” in terms of ROI. -Facebook is the most popular social network for nonprofits, with 89% of nonprofits using the platform. -The average Facebook fan base for nonprofits is up 161% from 2010 to 6,376 members. 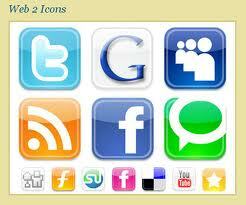 -The average Facebook following of organizations raising more than $100,000 per year via social networks is 100,000. -30% of nonprofits that raised more than $100,000 last year via social networks dedicate at least two staff members to managing and fundraising through their social media presence, compared to two percent in the rest of the sector. -On the staffing side, 86% of respondents commit some employee time to commercial social networks, with the majority (61%) allocating a quarter of a full-time employee equivalent (FTE), and nearly 15% dedicating at least three-quarters of an FTE. -57% of nonprofits use Twitter. -One in three nonprofits uses LinkedIn. -Small numbers of nonprofits report using other platforms, particularly FourSquare (four percent.) Other social networks used include the Facebook spinoff Jumo, Vimeo (video sharing), Picasa (photo sharing), Yelp (local user reviews), Ning (build your own community), and Delicious (social bookmarking.) Respondents also reported using donor-empowered peer-to-peer giving sites such as, CrowdRise, FirstGiving, Razoo, and Causes. -Nonprofits use traditional avenues, rather than social media, to promote their social media presence, with 78% reporting they use their websites to promote their social network communities, 62% using email, and 48% using events. -Four out of five nonprofits say their social networking efforts are valuable to their growth and community engagement. -Three-quarters of respondents say that engagement is the most important goal of their social media work. -58% report measuring the soft benefits of their social networks, such as increased awareness, education, and supporter participation, while only nine percent measure hard ROI in the form of revenues received from donors, sponsors, and advertisers. -Three out of four nonprofits prioritize the measurement of site visitor volume, which is also the most popular metric for evaluating the success of social networks. -The roughly ten percent of nonprofits that don’t use social media say their reasons include a lack of strategy, staff, expertise, and concerns for privacy.